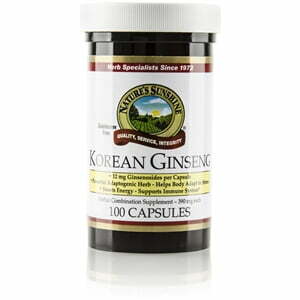 The botanical name of ginseng, panax finds its etymological roots in the Greek word panakos or panacea which means “a cure-all.” While it may not cure every ailment, ginseng does have powerful health benefits. It is known for its ability to increase energy and for its immune support. An adaptogen, it may preserve the body’s balance and may help in adjusting to stress. 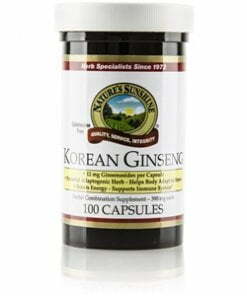 Each Nature’s Sunshine Korean Ginseng capsule is 390 mg. Nature’s Sunshine guarantees a potency of 12 mg ginsenosides.